Not so long ago we asked you to vote for your favourite Super Mario platformer in order to celebrate today's (13th September) 30th Anniversary for the franchise. Following Nintendo's policies around the anniversary we left out spin-offs, including titles with 'Super Mario' in the title that were vehicles for new franchises - such as Yoshi's Island on SNES. We've taken the results as of 10am Pacific / 1pm Eastern / 6pm UK / 7pm CET on 13th September, and compared to our 2014 vote there's a clearer winner. There are some interesting placings throughout the top 10, nevertheless. So, without further ado, below is the top 10 for Super Mario platformers, as voted for by well over 3,000 members of the Nintendo Life community. It was extremely tight in the lower reaches of the voting, with this DS title just sneaking ahead of New Super Mario Bros. U. The DS game was the first 2D Mario game for a long time when it arrived in 2006, and remains a fun, engaging platformer to this day; its range of minigames also utilise the DS setup fully. Aside from Super Mario 64 DS, this holds the record of being the first 3D Mario title on a Nintendo portable. It utilises the auto-stereoscopic screen in clever ways with puzzle rooms and camera angles to emphasize depth; with the Super Leaf and a 2D / 3D hybrid design, it's an enjoyable slice of Mario on the 3DS. The NES original that is the source of the 30th Anniversary, this title revolutionised home console gaming, platforming and propelled Nintendo to early success with the NES in North America, particularly. Played today it remains as a tight, challenging platformer with well known and much loved shortcuts for those keen to experiment. This one had a tough job following Super Mario 64, yet has plenty of fans from the GameCube era; sadly the demands for a Virtual Console version have never been close to arriving. With story-based cutscenes and voice acting, the latter being rare in Mario games beyond "wahoos", it's also much loved for the appearances of Yoshi and the use of FLUDD, which opened up plenty of neat gameplay opportunities. The most recent Mario title - aside from Super Mario Maker, of course - that graced the Wii U in 2013. The support for up to four players is chaotic yet fun, with each playable character having unique traits and styles to suit the action. Lovely visuals and bombastic Big Band music also play their part in one of the best titles on Nintendo's current-gen system. Though this missed out on 4th place by just one vote out of thousands, it's nevertheless fondly regarded by many. Still the only direct 3D Mario sequel to date, it began life as a 1.5 expansion before the volume of new ideas made it a sequel. New outfits and a playable Yoshi accompany some fantastic level designs, making this a great choice on Wii (and the Wii U eShop). The original 3D Mario title that blew many minds when it landed on Nintendo 64, arguably being as revolutionary in the 3D gaming space as Super Mario Bros. had been to 2D platforming. Mario's running, jumping and punching feel remarkably solid on the N64 controller, with the quest to collect all of the stars still a regular challenge for many. Continuing the experimentation seen in Sunshine, this entry went for an outer-space setting with gravity at its core. It's wildly ambitious and, importantly, hits its target, delivering a memorable experience for any generation of gamer. It's a pioneer in having a lovely orchestrated soundtrack, while the Wii Remote and Nunchuk controls remain some of the most intuitive on the Wii. If Super Mario Bros. was a revelation, Super Mario Bros. 3 was the result of extravagant ambition, creativity and technical ability from Nintendo's developers. It's certainly 'weird' compared to others, and to this day its bizarre power-ups and items raise a smile; its overworld, alternate paths and legendary shortcuts also keep things interesting in the speedrun community. This was the winner last time the Nintendo Life community voted on its favourite Super Mario game. Its arrival on the SNES brought home what was - at the time - a startling generational leap, while also introducing Yoshi to the world. It's glorious platforming in any era and has been popular on the Virtual Console, with the quest for finishing with all exits found still being on plenty of bucket lists. It's a fabulous game, and in the opinion of many voters is the best Super Mario game so far. So there you have it, the top 10 Super Mario platformers as voted for by you. Are you happy with the results? I came in with guns blazing, ready to critique, and you guys just had to screw it all up, didn't you! I agree with mostly everything on this list expect for the fact that Super Mario Sunshine is on it at all, let alone above New Super Mario Bros., 3D Land, and the original. Just no. Glad to see Sunshing and World get the respect they deserve. But the Galaxy games, to me, were overrated. You gotta tell me... how close was Super Mario Land 2: Six Golden Coins to the top ten? I'd drop NSMB for SMB2 US, but other than that and rearranging some games, this is a great list. 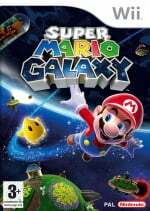 To me the best one is Super Mario Galaxy 2, so good and incredibly imaginative. Really interesting to look at! Obviously played the first nes one. But only being 19 years old. I really only grew up with the n64 and up. Still have yet to try/fully beat mario world. My favorite would be have to be either the galaxy series or SM3DW or he New series since playing with family is always better! Nice list, but out of Mario Bros. 1, 2 & 3 I always thought Mario 2 was the funnest. Yeah, I can live with that list, and I'd def put SMW at the top personally too. I'd also sneak Yoshi's Island onto the list (either 2nd or joint 1st), even though I know most people don't think it's a proper Super Mario game—even thought it's called Super Mario World 2: Yoshi's Island on the box. I really don't think world is the best. I think of you switch Galaxy and world, this list is pretty great. You accidentally switched Super Mario World with Super Mario Bros. 3! I like this list! I agree with those who say Sunshine is too underrated and Galaxy (Galaxy 2 at least) is overrated. Regardless, they're all still excellent games in my opinion. I have yet to play a Mario platformer that I didn't enjoy. Nice to see Super Mario Sunshine in the top 10. Gamecube rocks! I would say the main problem of Sunshine is that it is the direct sequel of Super Mario 64, offering a bit "less" than that game: less moves, with the "B" button moves almost totally eradicated and no long jump, less variety, with all levels in Isle Delfino, and a more rigid structure, without the possibility of getting Shine Sprites other than the one selected except when exploiting glitches. Of course now, several yers later, we can appreciate some of its aspects which were not developed further in the subsequent games, such as how realistic the various settings were (in many levels you you could see other levels or even Delfino Plaza! ), how much you could explore the levels and the original story told with voice acting featuring memorable scenes such as the reveal of Bowser Jr. and all the memes it created (how many people humorously still say that Peach is Bowser Jr.'s mother?). The good thing with this is that it's not just one man's opinion but the accumulative opinion of over 3,000 members, making it a fair representative. I voted for Sunshine to take it. It was so much happier than a lot of the others and i'll always have fond memories of bouncing on the Piantas heads! Swap Sunshine and Galaxy, and 3 and World, and you have a list I can fully agree with. 3D world is an amazing game. Champions road is legendary!! Just glad SMB3 and SMW are the top 2. Feel like those 2 games aren't getting enough love in Mario Maker at the moment. Every time I play 100 man challenge, it's 75% New SMB and 15% Original SMB and the remaining 10% is split between SMB3 and SMW. Top 2 always come down to SMB 3 and SMW Absolute classics! Nice. SMB3 and World will always be the top of the line. I do think all of the games on here are quite fantastic, though. Yep, Sunshine underrated and Galaxy waaaay overrated. Also, where the heck is 6 Coins? I always thought it was a great handheld alternative to SMW. Not quite the same or as good as the "big one", but definitely pretty damn close, but I guess that's, again, just me. Sunshine nearly drive me from gaming. So hard to control it's the anti-Mario Mario platformer. For me the list is no contest. Galaxy 2! SMB3 is nostalgia's greatest game, but having only played it as an adult I find it very over-rated! I did play SMB 1 & 2 as a kid. 1 was revolutionary. Great list, although for me I would put M64 at Number three. And here's my little secret: I killed Muf... I mean, I don't like Super Mario Sunshine!! Just never could get into it. For me it's a crying shame that Super Mario World 2: Yoshi's Island can't be in this list as that's a top three entry for me. NSMB is a terrible game, IMO, so I'm surprised it's in the top 10, although at least it's actually in 10th place. No surprise about the top spot though. SMW is the best Mario platformer ever. I dunno if Super Mario Land is considered a spin off or not, but I would've put that in my top 10. What an accurate list! If I had to place Super Mario Maker somewhere, I'd probably toss it in fourth. What do you guys think? In terms of level design, fun, and raw creativity I might have to agree. Galaxy 2 did pretty much everything extremely well. Factoring in nostalgia, insanely crisp controls, creative secret exits, and phenomenal overworld then I have to agree with the list and go with Mario World. To be fair it's hard to compared 2D and 3D though so I'd say they're both my favorites and overall this is a pretty good list. I always thought Mario 3 was a tad overrated though. I'm sorry guys, but it appears you got the top two mixed up. I'm glad NSMB made it to the list. It's definitely my favorite 2D Mario. For the most part this list is perfect though I definitely would have put 64 ahead of Galaxy. Swap 3DL and 3DW, and swap SMB3 and SMW, and that would be my list. Glad to see Super Mario World #1 because it's the best 2D Mario game! Hoping to see a Super Mario 64 (or Sunshine) sequel. I don't think SMW would even make my top 5. Yes, it's a good game, but it hasn't aged well in a few ways, with its - those cape controls, for example, are just the worst. Oh well, SM64 and SMB3 will always be on top for me. I disagree with 9 and 10, but the rest of the list is solid IMO. I approve of SMW being first. I would swap Galaxy and SMB3, but other then that, I can agree with this list. Perhaps even swap Galaxy and World. But I can say that World and Galaxy are both objectively good games with textbook definitions of good level design and a metric ton of polish. @TeeJay NSMB is pretty lamb... Super Mario Land is better. Agree with SMW being at the top. Still the best platformer ever created. Super Mario World raises an interesting question for me. Will we ever get to play SNES games on a Nintendo handheld? Even in the sixth spot, I think 3D World is overrated. List is almost spot on. But I do think New Super Mario Bros U deserves a spot. Probably in place of Sunshine. Not enough credit is given to that game. It's definitely the pinnacle of the New series, and did a LOT to freshen things up. I feel that New Super Mario Bros U deserves more love, being the best of the "New" sub series by far. 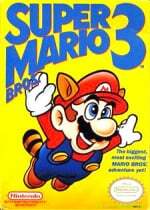 I even like it more than SMB3, which I like, but feel people remember too fondly. It was a big step forward for gaming, but I feel it lacks the breadth and depth of World, and has some bad power ups. The Frog suit is terrible, the Shoe is used about one time, and the Tanooki suit is not any better than the cape. @Chaotic_Eevee you never played galaxy 2, like, clearly! Nintendo has a new president, guys! With the exception of NSMB being in the top ten over NSMBU, and a slight tweaking to the order, it's a damn fine list. Super Mario World has that magic that is gratifying in almost every sense of the world. The controls, the visuals, the music, the feeling of discovering something new on your own, It's just a feeling that very few games can capture. It is a masterpiece that isn't what gaming is capable of but rather an example on why we love playing video games with such great passion. Glad to have voted for World yet again! Let's ag-o! The contents of this list I mostly agree with (not positions), the only ones I don't agree with are 3D Land and NSMB. @Flopsy86 The situation regarding SMB3 and SMW not having that many levels in SMM is solely because of the unlock procedure. Unless you use block spam to unlock everything quickly, most people won't have those themes until the middle of this week. @Grumblevolcano Ah ok, didn't know that because I have not done anything with the editor yet because I'm enjoying playing the levels so much. Surely I'm not the only one who is just enjoying the created content for now and gradually moving onto the level editor when settled into the game. It's a good way to see what can be done in the editors and it's inspiring to people like me. I still think SMB3 outdoes SMW on level design. SMW got level design was nerfed by extremely easy access to unlimited capes and Blue Yoshis within just a few levels. Wow, I can't believe any of the "overrated" comments about any of the Mario games. IMO, they're all great games that I have fun playing and have fond memories of when I'm done. Hard to control Mario in Sunshine??? Really? I had absolutely no issue with controls. I think it has the best story from a Mario game. 3D World....overrated??? Not for me. That game was a blast, both single player and with friends. The Galaxy games also overrated??? Look how unique they are to gaming. The graphics, the unique gameplay, the controls were spot on, and the music is awesome. Even the "New" Super Mario Bros. series of games is good. They don't really do anything unique but they are fun to play. The original New Super Mario Bros. on the DS still gets played regularly at my house. It's got fun levels and mini games area actually good....Mario Party should take notes. Anyways, the list is good. I may tweak it a bit, but it's a very good list. Mario World is a worthy winner (and 2nd place for me) but the memory of Mario 64 totally blowing my mind back in the 90's means it remains my No.1! Pretty happy. SMG2 is obviously the best but No. 5 ain't bad. Galaxy 2 should be number 1, it should at least have been above Galaxy. It does everything better, except in the originality department.